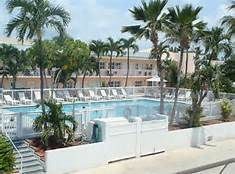 will provide you with a wide range of Key West Lodging and Accommodations to choose from. 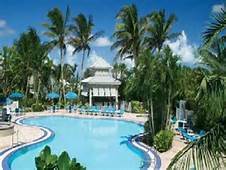 includes everything from all inclusive luxurious five star Key West Inns, to hotels offering low end budget pricing. Just remember, you usually get what you pay for. One option that you should consider before making your important decision on where to stay in Key West should be a vacation rental or condo rental option. A Key West vacation rental will usually provide you with twice the space while potentially saving you money in the process. You will usually have the ability to cook your own meals and share the cost with family or fellow travelers depending on the number of beds you choose. This hotel is located close to the wharf in Old Town. One nice feature of this hotel is that it is located within reasonable walking distance to many of the Duval Street attractions. A break fast is added at no charge as part of accommodation fee. If you prefer a bed and breakfast atmosphere the Albury Hotel would be a good choice. This is an older hotel that has been renovated and features the classic tropical landscaping the island paradise is known for. The hotel is not very large but it's nice and cozy. It is located close to the Casa Marina part of Key West. The feature free parking, no charge coffee services, concierge on duty, no charge local calls, and luxury linens. 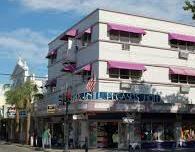 This Key West hotel has excellent lodging and is located in the center of the historic Old Town district. 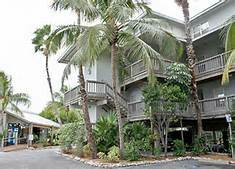 It is reasonably priced by Key West standards and is only a half a block from Duval St..
You will find peace and solitude at this resort as well as being close to many of the islands attractions, bars and restaurants. Yet another of Key West lavishly and lushly landscaped offerings. 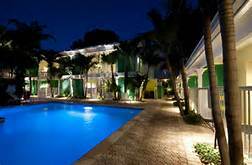 This is a small hotel that is situated in a renovated classic Key West abode. It is also located in the Old Town district so walking to many of the islands activities won't be a problem. It will remind you of a bed and breakfast with it's quaint surroundings. They are a Florida Green certified lodging member and a green hotels partner member. This Key West hotel is located just one block from Duval St. If you're on a budget this is a decent choice. If you're looking for luxury then you may want to look elsewhere. They pride themselves on their customer service and feature and outdoor heated pool, jaccuzi, continental break fast and parking is included. This is a no frills small vacation rental offering consisting of just one building. 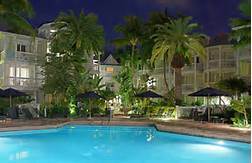 It has very nice landscaping but if you're looking for a larger hotel or resort atmosphere with the amenities to go with it this is not for you. This property consists of three condominiums offered by a private vacation rental property owner. They are located in Old Town in a gated community with and they feature small swimming pool and they allow pets. They are within walking distance to Duvall Street and Fort Zachary State Park. This is a very nice full featured resort offering that is located on the ocean. They have a heated beachfront pool with some nice views of the Atlantic. They are located only minutes from the airport. They are located on the opposite side of island where many of the islands attractions are located so walking or biking may not be your best option. They are known for their excellent customer service. This 1950's style motel is located in the South Beach district and is less than a block from Duval St. If you don't mind an older hotel in exchange for a close location to many of the islands attractions then the Blue Marlin may be right for you. This accommodation is just the way it sounds. It's a single house that is located in the middle of the Bahama Village in Old Town. It's close to Duval St. and within walking distance to to many of the Key West attractions. The amenities are limited since this is a home rental but it is cozy, convenient and is pet friendly. It is low priced for the vacationer on a tight budget. Is a nice guest house located close to Duval St. Cas De Luces has a Cuban flare and offers clean and small suites. The have no cost off street parking, cable tv, ac, heated jaccuzi, two small pools and include a continental breakfast. 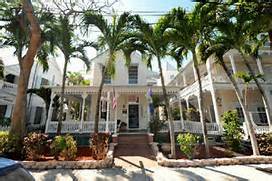 The historic Key West Inns is a collection of five hotels located in the middle of Old Town, Key West. These boutique style hotels are within walking distance to Duval and many more of the islands attractions. They are very nice but lack the amenities that some of the islands resorts have to offer. They do feature excellent service as part of their claim to fame. The chesapeake resort offers sixty five renovated and spacious rooms. 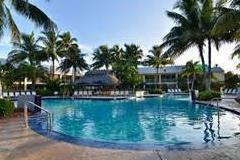 Located in Islamorada, are area known for it's beach and fantastic fishing, the resort features some fantastic views of the ocean. All units include either one or two bedrooms, kitchenettes w/granite counters along with newer carpeting and and furniture. The Coconut Beach Resort is a time share property that has 30 two bedroom condos with ocean views. Because the units are member owned availability is somewhat limited and typically is less than ten percent of the condos at the resort. The units are luxurious and feature full kitchens. The Coconut Mallory Resort is located on the southeast side of Key West. The Marina offers one and two bedroom condos with completely furnished kitchens, washer & dryers, all recently refurbished. They have a number of boat slips available and also feature 2 swimming pools, hot tub and a concierge service. This small resort it located in the middle of the Florida Keys approx. 50 miles from Key West. They have twenty one beachfront villas with 2 bedrooms and baths. Features include a pool, tennis, hot tub, wi-fi, and parking for boats and cars. Half of the rooms feature a nice view of the ocean and the other half overlooks the tropical pool area. The rooms are reasonably priced and the hotel features the standard services you would expect from a lower priced hotel. They also have a Denny's restaurant located on the bottom level of the hotel. A continental breakfast is included with your room. 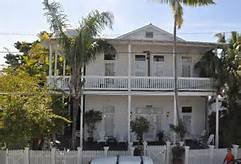 The Conch House is a historic Victorian style Key West bed & breakfast accommodation. It's located in the middle of the Old Town district and is only a block and 1/2 from world famous Duval St.. The Conch House is within walking distance to many of the islands top attractions and is know for it's romantic atmosphere and tropical setting. Triple A rated. La Concha is another one of the islands historic hotels and also happens to be the tallest structure in Key West. It has a contemporary look that still has old world charm. 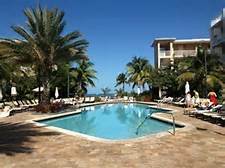 It is also located in Old Key West which puts in in walking distance to the islands popular attractions. The rooms are modern and nicely decorated. The pool and sun deck are also nice. The La Concha features Jack's Seafood restaurant which features a spectacular panoramic view of Key West. The Cuban Club is conveniently situated in the middle of Duval St. It's a great location for the party crowd who doesn't want to have to worry about being too far from all the action. The Cuban Club was originally built back before 1920 as a place for the Cuban Cigar makers to gather. The facility was completely renovated in the 1980's and now consists of a number of spacious and luxurious suites. The amenities may be lacking compared to the Key West resorts but the location is great if Duval Street is where you want to be. The resort includes 75 rooms of which about a third are suite accommodations and they are pet friendly. 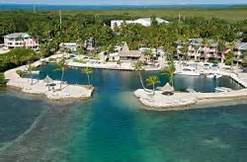 The resort is a deep water marina that is located in the Key Largo Habour and features 75 boat slips. You can dock your boat for a fee or rent one of the many rental boats they have to rent for the day or week. They feature a very nice dive shop, gift boutique, tennis courts, large pool, whirlpool, fitness room, conference rooms and a continental breakfast is included with your stay. As with most Days Inns they offer an affordable no frills option to the luxury Key West hotels. They feature 133 rooms and are located on the North east side of the island and are not what I would consider with in walking distance to many of the islands attractions. They are fairly close to the airport which is a little over a mile away. This Key West hotel is located on the Southeast side of the island. 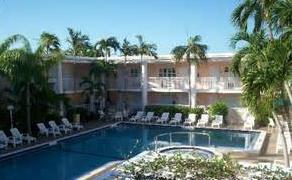 They are considered one of the larger hotels in Key West with over 215 room available. 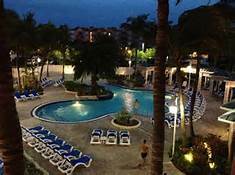 They feature a huge conference and banquet room and a beautiful pool with Tiki bar. They are a full service hotel, are also pet friendly and are a green resort. The resort is both casual and elegant. The El Patio is a quaint little hotel located in Old Town, Key West. They are located very close to Duval St. and are only a couple of blocks away from a public beach area. They feature a pool, sundeck and have no charge parking. They are moderately priced. This is a popular lodging spot for scuba divers and fishermen with their harborside location. They have boat docks available, fish cleaning facilities and a swimming pool. Harborside also has house boat rentals available. 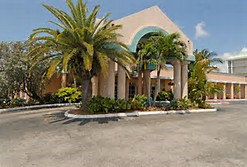 The Marathon Holiday Inn Express is located in the middle of the Florida Key's. This is a good location if you're a fisherman since the hotel features a boat access ramp and boat docks. They also have a nice pool and a fitness room. 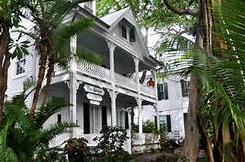 The Historic Key West Inns consists of five renovated houses each with it's own individual Victorian architechture style. The Inn is located just a short distance from Duval Street. There is a continental breakfast served each morning by one of the tropical landscaped pool areas, which is included with your stay. The Hyatt Resort and Spa features a renovated property that mixes a modern architecture with old world styling. It is a luxurious hotel that is known for it's great customer service. They have 118 rooms available for rent that are located on the water with private balconies. Their spa has won awards for their excellence. This charming resort is tucked away in the center of Old Town Key West. Most of the rooms feature a kitchen and private balcony and are either one or two bedroom units. This forty room hotel is located close to many of the Duval Street attractions. 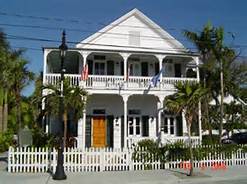 This Key West Inn is part of the five hotel Historic Key West Inns group located in Old Town Key West. The building has been renovated to modern standards and the hotel is spread out over and acre of ground which gives it a nice roomy feel. The landscaping is very nice and some of the rooms include a mini fridge. The Inn is located only two blocks from the historic Duval Street hotels and a continental breakfast is served each morning by the pool area and is included with your stay. The Key West Info Center offers advice on Key West hotels, Key West accommodations, Key West tours and activities. They certainly can provide some useful information and may be able to save you money on many of their recommendations, but do you home work since their are many more options available. The accommodations are very roomy and feature a carribbean flare. 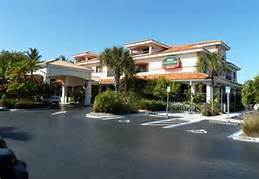 The hotel features fast wireless intranet, a very good restaurant with a nice bar area, roomservice, concierge service, a cool tiki bar area with jacuzzi, public computer with internet connectivity, copy and fax machine, laundry service, small gift shop, a nice excersize room, bike and moped rentals. The rooms are all equipped with coffee machines, hair driers, ironing board with iron, and cable TV. Some of the rooms come with a sleeper sofa pullouts in the living room area. refrigerators and micro wave ovens. Free off street parking is included and the rates are median priced. This historic old hotel traces it's roots as far back as 1895. It consists of 10 older buildings with architecture very reminiscent of Old Town Key West. There are 40 villa rooms combined in the ten buildings that cover almost a half a city block. The facility is located only one block from Duval Street so it's very close to many of the bars and restaurants that Key West is so famous for. The property is highlighted by lust tropical landscaping and there are many nooks and crannies to relax and get away from the crowds. A Continental breakfast is served by the pool area every morning as part of your stay. 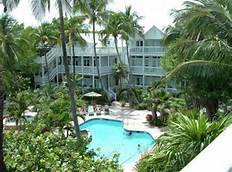 The Marriott Key West Beachside Hotel sits on seven acres just off the overseas highway. They feature 130 suites with kitchenettes and another 93 regular rooms. The hotel is very elegant and offers a free airport and downtown shuttle service, a heated ocean front pool and a small private beach area. The hotel has a huge amount of meeting space and features one of the larges reception rooms in Key West. The resort is not very large and features a total of 46 rooms available for rent. They added six new master suites in 2011 and feature complete kitchens and private deck areas. The rates are reasonable and the resort caters to the fishing and boating crowd. 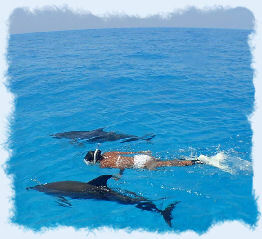 They are located in the middle of the Florida Keys between Islamarada and Marathon. They offer free boat docking, a pool, jacuzzi, have beach access and are pet friendly. The Marquesa is a quant little hotel that features four houses that have been refurbished and transformed into an elegant tropical getaway. There are two small pools located in the center of the complex . The hotel is situated just a stones throw away from world famous Duval St. The Marquesa is known for it's splendor and privacy in a beautiful garden setting. Children under fourteen are not allowed due to the tranquility the hotel strives to achieve. The Marriott is located in the Newer Town district of Key West. The hotel features sixty five full size rooms of which twenty five are suites. They are located on the beach and some of the amenities include a large pool with bar area, high speed internet, free parking, large jacuzzi and exercise room. 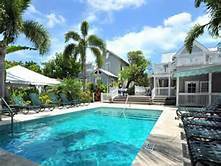 The rates are in the mid price range and if you were traveling to Key West with friends or family you would probably want to check out some of the vacation rentals such as the 1800 Atlantic resort located on the beach. The Ocean Breeze is located in the Old Town district. It underwent an extensive remodeling in 1998. The hotel is very is relatively small with only 15 rooms available for rent but is very affordable. There is a small heated pool and sundeck area and parking is included with a room rental. If you are looking for lots of amenities this hotel may not be your first choice but it does offer a good location if you want to be close to the downtown night life at an attractive price. 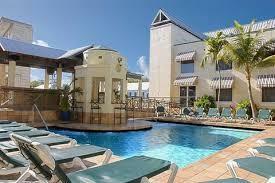 The Ocean Key Resort is located just south of the famous Mallory Square and a block away from downtown Duval Street. The resort features the Sunset Pier, which allows seaside dining and fantastic sunset views. The pier also has nightly entertainment with dancing and some of the islands best entertainers. The resort houses the popular Hot Tin Roof restaurant and the poolside Liquid Lounge Bar which is known for some of the islands best tropical drinks. 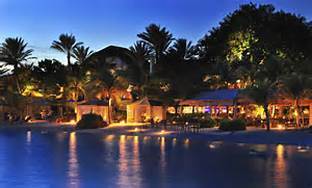 The resort was voted as one of the top 500 hotels in the United States. The resort offers a number of spa and area attractions packages to keep you busy on your next vacation to Key West. They pride themselves on pampering their guests. 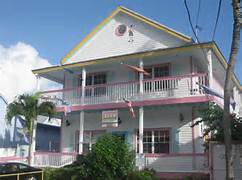 The Orchid Key Inn is located right in the middle of the action on Duval Street. The hotel features 24 upscale rooms and bungalows. They offer a free breakfast every morning and even throw in an evening sunset happy hour as well. The Inn is noted for it's excellent service and fine amenities. 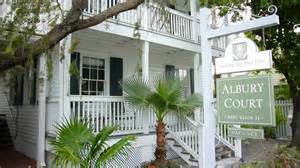 The have a top notch rating from the Trip Advisor reviews and finished as the number two rated accommodation in Key West according to their reviews. If you're looking for luxury and service they are a good choice. Their rates can vary anywhere from $250 per night up to $550 for a suite depending on the time of year. The Palms Hotel is located in the Old Town Section of Key West. The section of the hotel housing the main lobby dates as far back as 1890. The old world architecture is a huge part of the charm and appeal that the hotel provides. The hotel has a number of modern amenities including a pool (heated), sundeck, free wireless internet and bike rentals. The tropical landscaping will rival anything you will find on the island. The hotel has a good reputation for it's fine service. The prices are in-line with other hotels on Duval street and range in price from $229 to $400 per night depending on the season an room choice. 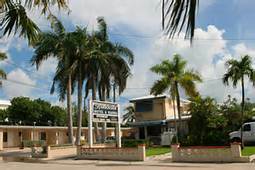 The Parrot Key Hotel is one of the newer Key West Hotels. They are located on the waterfront and offer large guest rooms and luxury accommodations including suites and villas. The rooms offer either tropical garden view or views of the water. The resort features four swimming pools, Tiki bar, a small restaurant, free wi-fi, free shuttles and a concierge on staff. The resort is on the water but does not have a beach area. Peak season rates will vary anywhere from approximately $400 to $600 depending on your choice of rooms. Their off season rates will average between $205 for a single room and up to $470 for the villas. The Pegasus Hotel is a four story hotel located in the heart of Duval Street. The hotel is a good choice for anyone not concerned about an upscale accommodation and also wanting to be where the action is. They offer a number or suites along with their standard room options. They do offer free internet, free continental breakfast, hottub, off steet parking and feature a heated pool on the top of the roof. Their peak season rates will vary any where from $289 for a regular room to $479 for one of their suites. 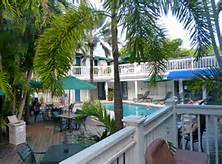 The Pier House Resort & Spa is located on the farther most point of Northwest Key West at the end of Duval Street. The Resort offers an upscale experience along with first class service and with over 140 rooms to choose froom. The Resort offers a full compliment of award winning massage & spa treatements. The Pier House features a cafe, two bar areas and fine dining at their newest restaurant addition, One Duval. The resort also features a nice little beach area with a swimming sundeck platform. The resort garners a 4 1/2 star rating with Trip Advisor. If you're on a budget then the Key West Quality Inn would be a good choice. This hotel has approximately 100 rooms and two floors. Their amenities include an outdoor pool, complimentary continental breakfast each morning, shuttle service to the airport, free paper, pet friendly and they also offer a concierge service. Info - Key West's Finest Resort Accommodation on the Beach!